This suburban dream home is a classic colonial ready for you to grow into - 4 BR, 3 BA, fully finished basement; complete with a utility room that can double as a "man cave." The updated kitchen is full of storage and includes SS appliances. Refinished hardwood floors throughout main and upper level and two cozy levels with fireplaces. The inside is not the only place to sit next to a warm fire. The large backyard is already set up for the perfect gathering with lights strung across the new paver patio and built-in fire pit. Your pups will be gleeful at the sight of this open quarter acre lot! Facing green space which includes Angel Park with playground. Located in central Alexandria, with easy routes to Duke St, King St, Quaker Ln, & 495. Jump on a bus at the corner for short 7 minute ride to King St. metro, and walk a few blocks to Douglas MacArthur Elem. SchoolsClick map icons below to view information for schools near 608 Taylor Run Parkway Alexandria, VA 22314. 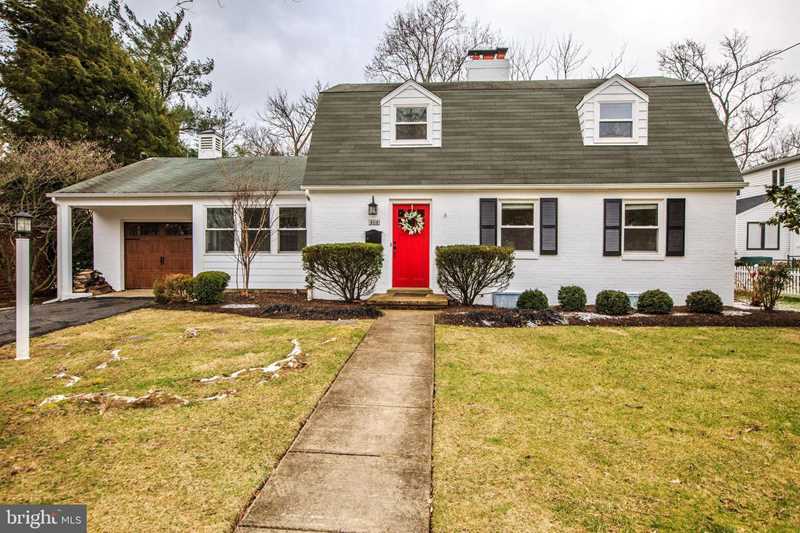 Home for sale at 608 Taylor Run Parkway Alexandria, VA 22314. Description: The home at 608 Taylor Run Parkway Alexandria, VA 22314 with the MLS Number VAAX202880 is currently listed at $865,000 and has been on the Alexandria market for 79 days. You are viewing the MLS property details of the home for sale at 608 Taylor Run Parkway Alexandria, VA 22314, which is located in the Clover subdivision, includes 4 bedrooms and 3 bathrooms, and has approximately 2543 sq.ft. of living area.